Jenna and Mike, Christians, lose their baby girl Jasmine at six months due to a miscarriage. How will they cope? Through this God uses Jenna to reach out to other women. And Jenna and Mike draw closer together. But then there are many twists and turns along the way. Will Jenna and Mike continue to trust in God? What does God have planned for them? Read to find out. Very interesting. Get the book now! 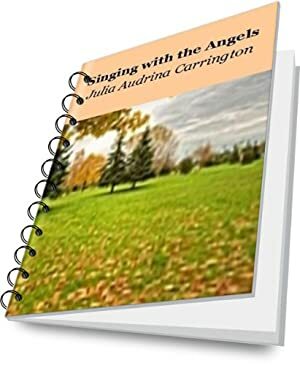 "Julia Carrington draws from the depth of her relationship with God to connect her readers to His heart and His voice. She knows the language of God and writes encouraging her readers to know His voice and follow Him."--T.C. We started tracking this book on July 16, 2013. This book was $8.00 when we started tracking it. The price of this book has changed 99 times in the past 2,107 days. The lowest price to date was FREE last reached on August 26, 2018. This book has been FREE 49 times since we started tracking it. The highest price to date was $9.99 last reached on August 26, 2018. This book has been $9.99 47 times since we started tracking it.